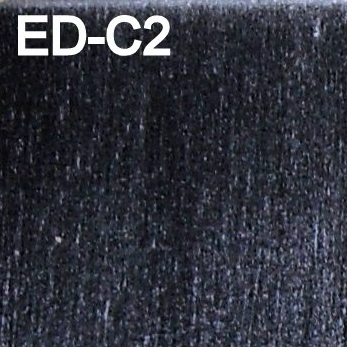 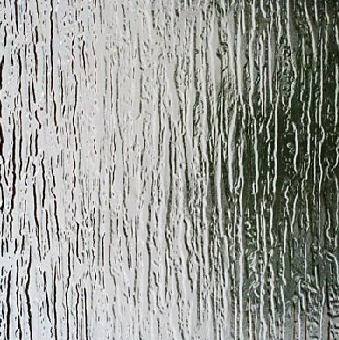 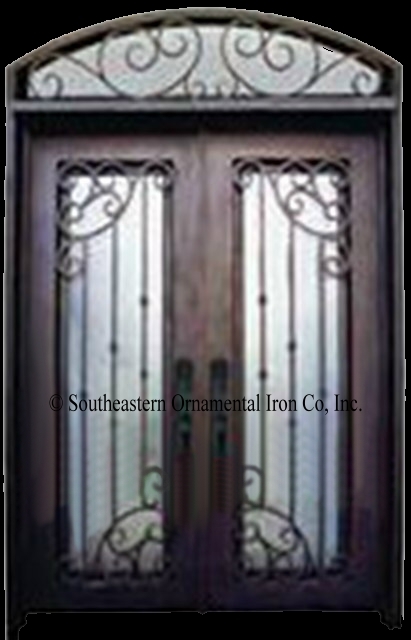 All of our entry doors are insulated with thermal injected foam. 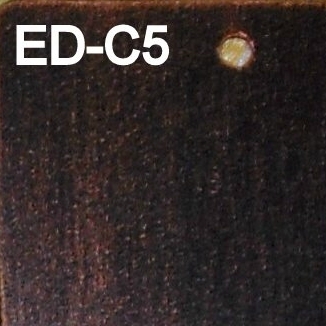 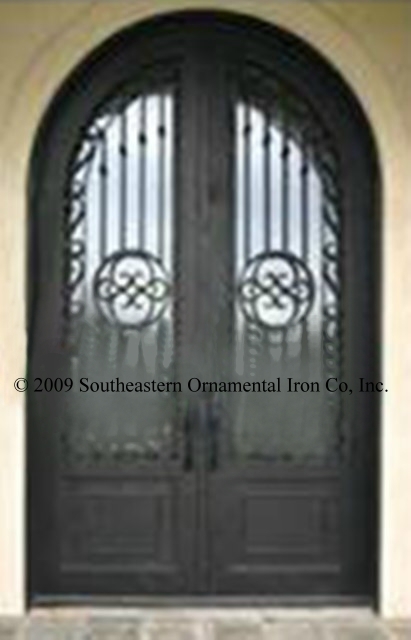 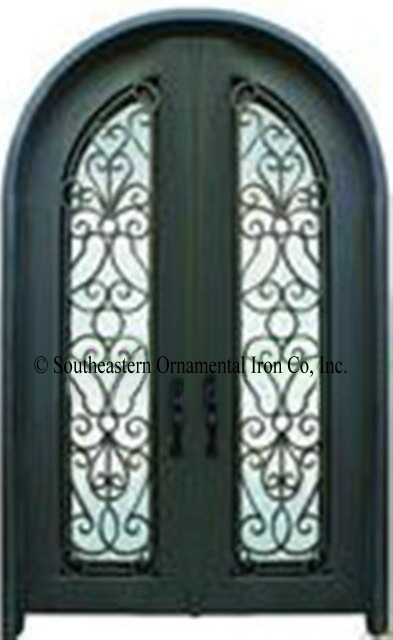 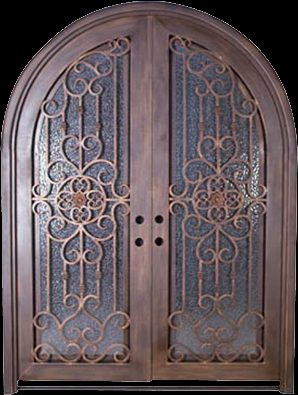 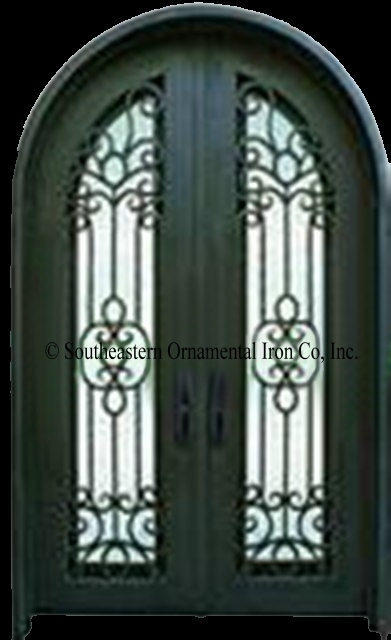 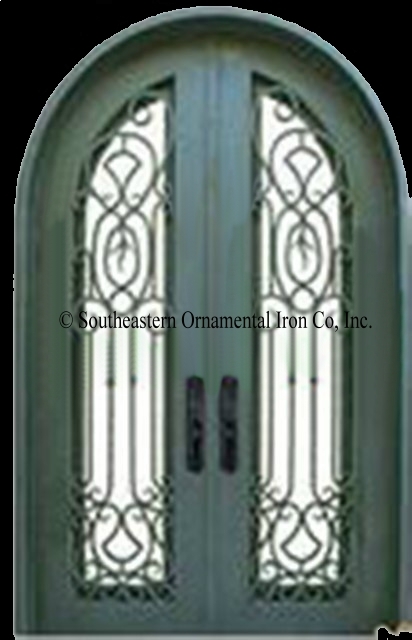 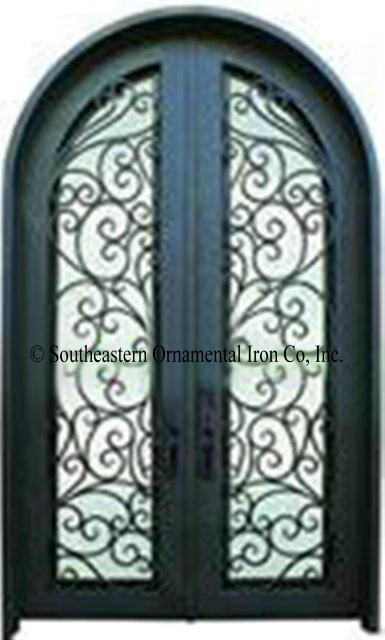 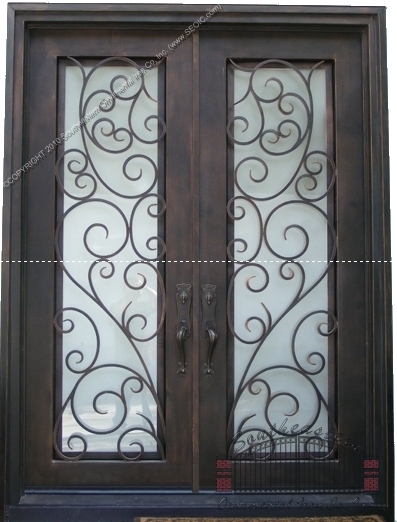 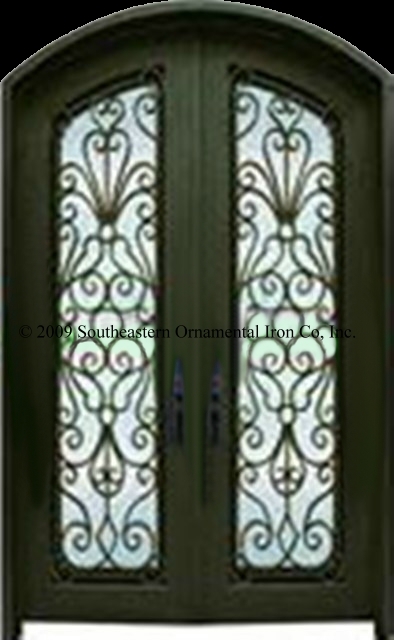 Doors come as a complete set which includes double pane tempered glass, threshold, jamb, and weather stripping. 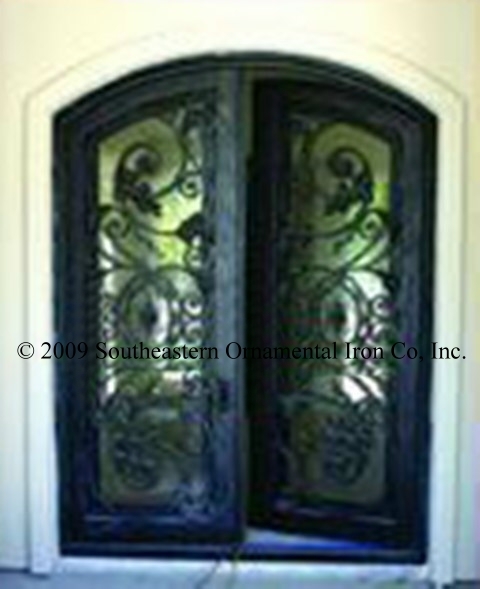 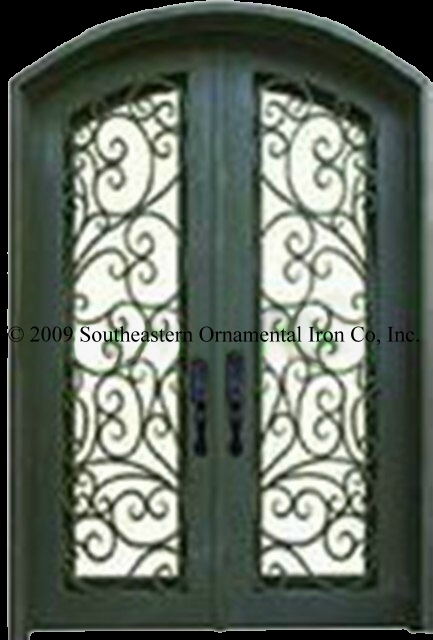 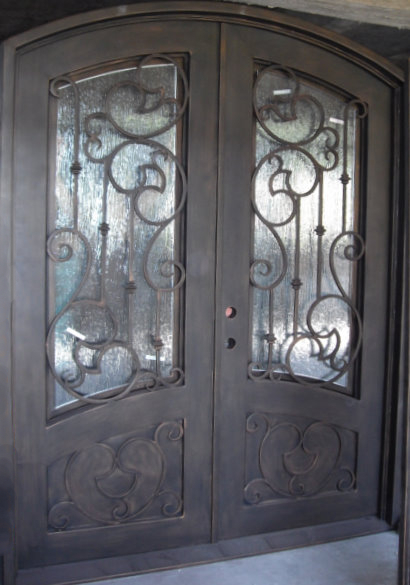 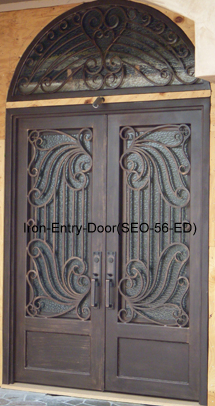 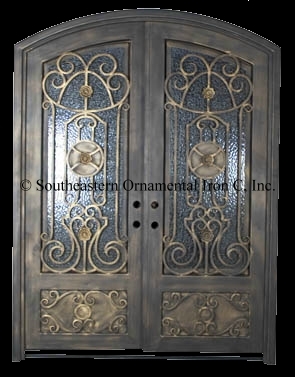 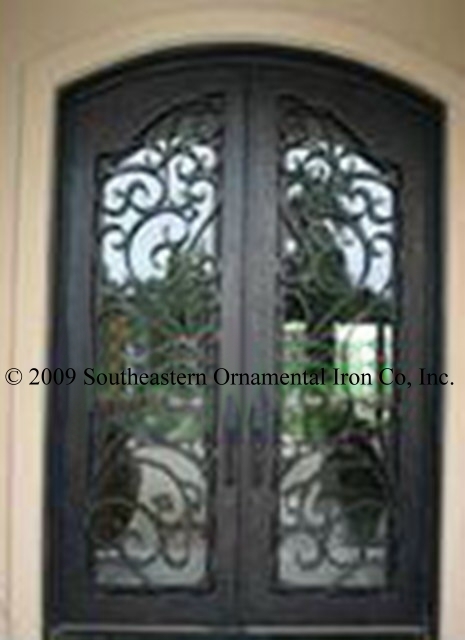 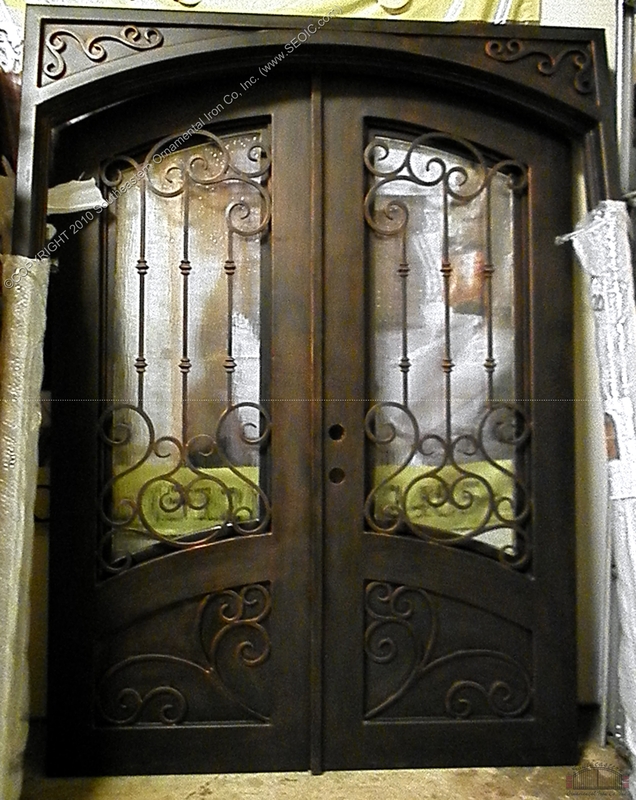 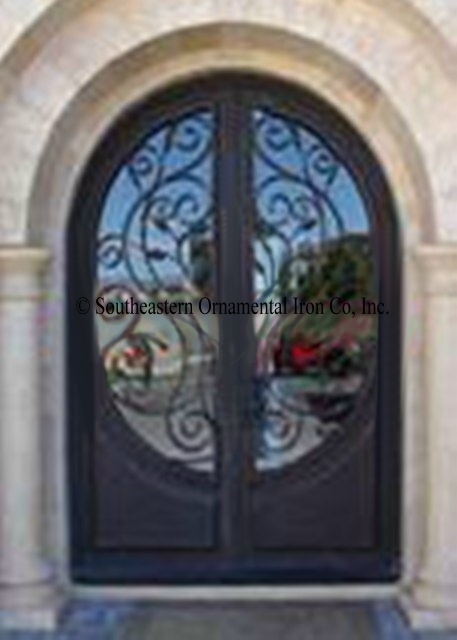 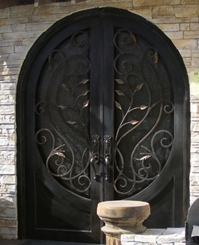 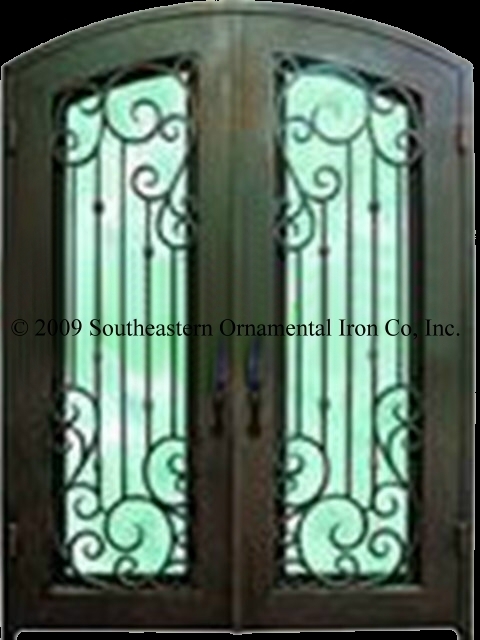 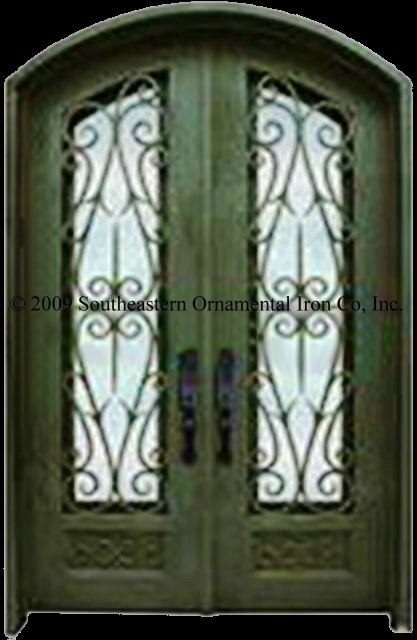 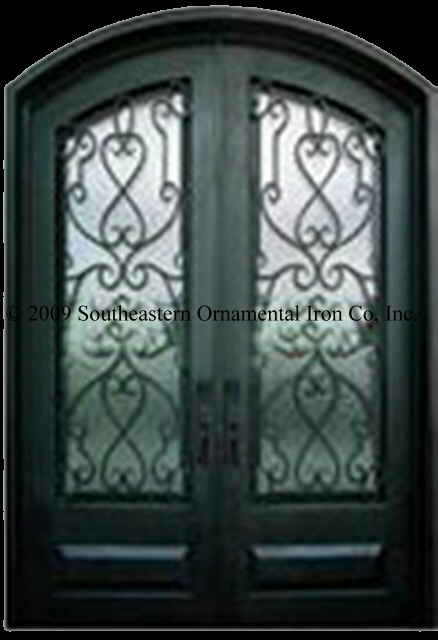 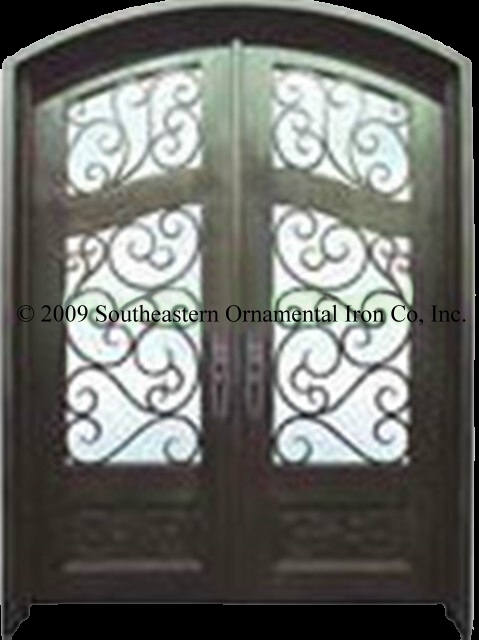 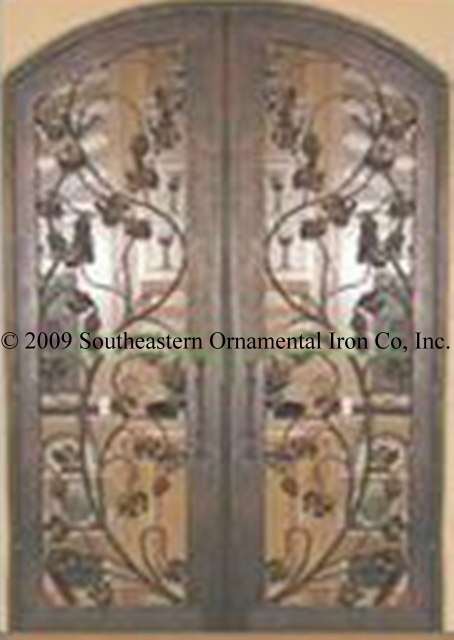 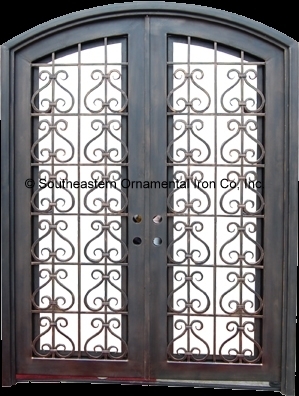 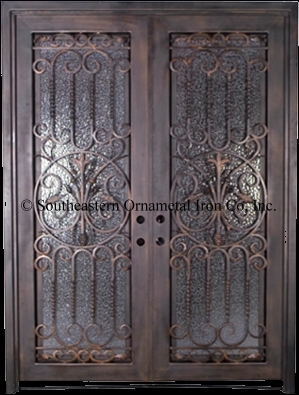 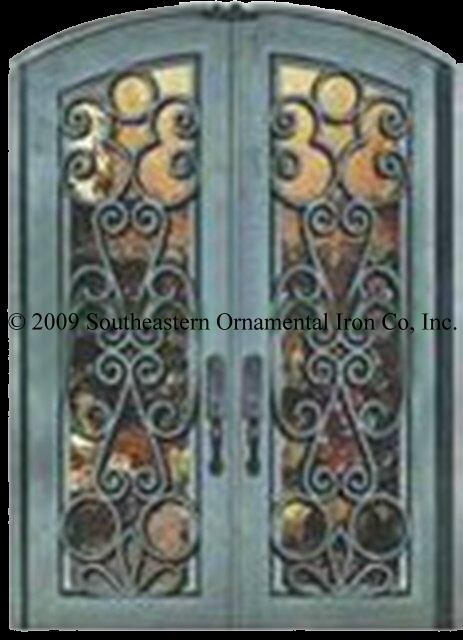 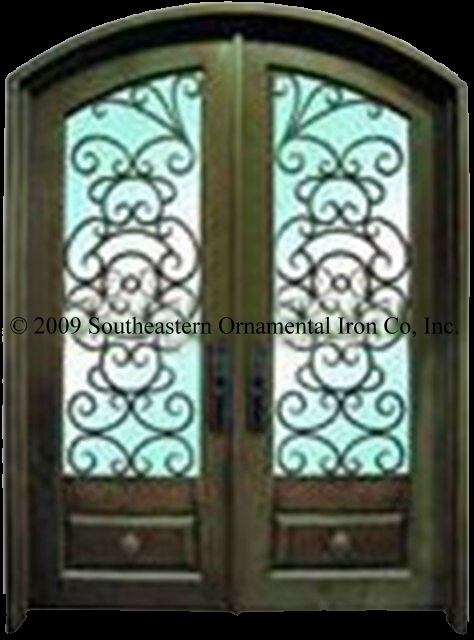 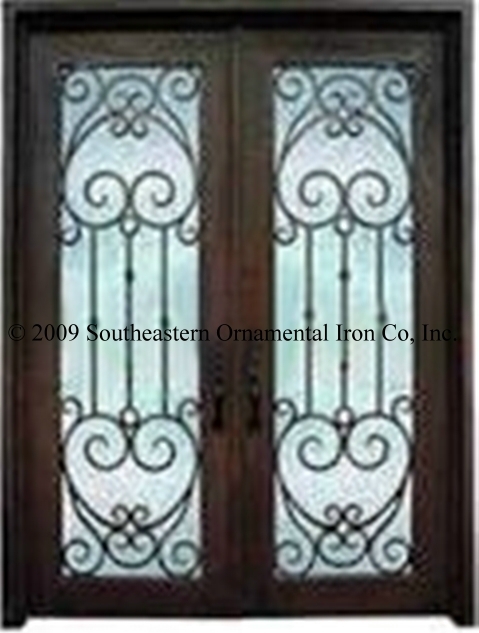 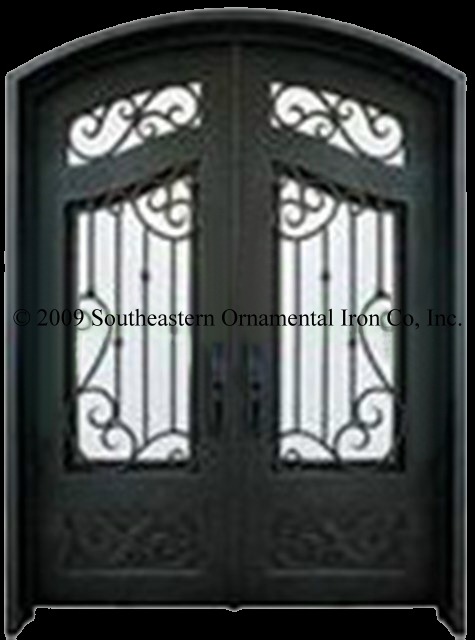 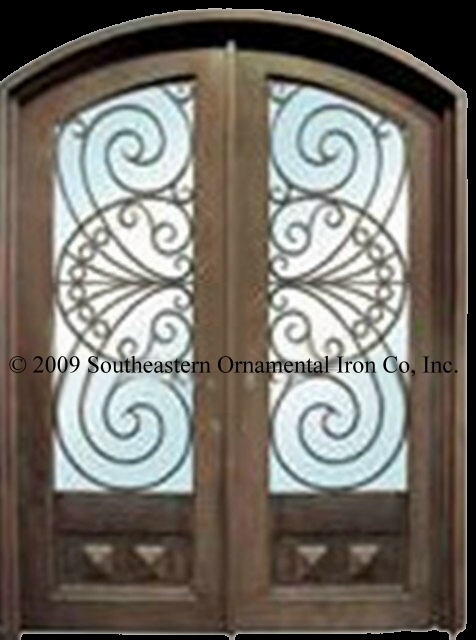 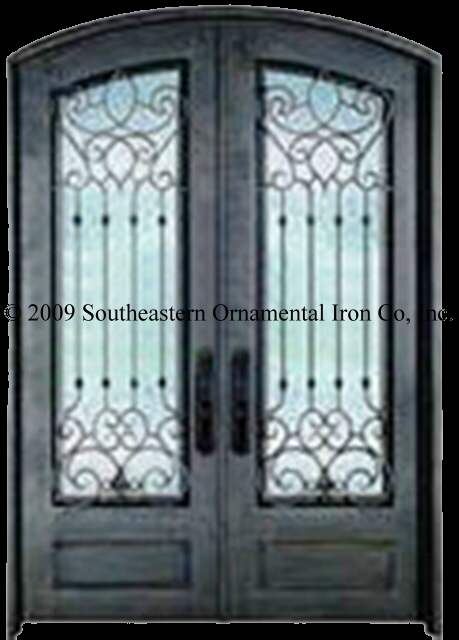 Doors can be custom designed and custom hand finished. 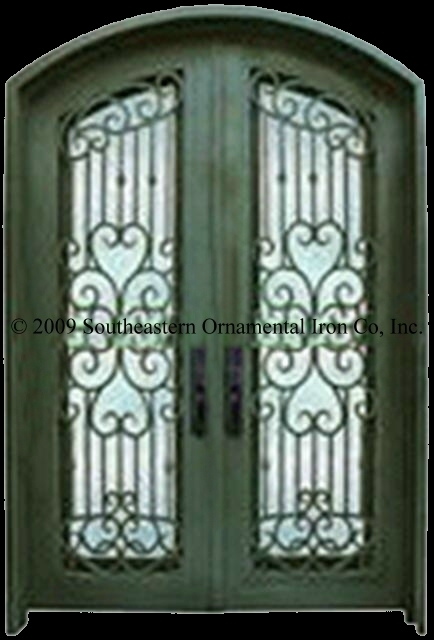 Doors meet or exceed huricane code requirerments. 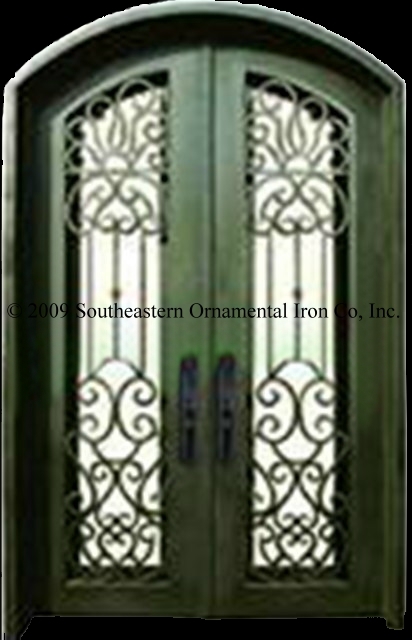 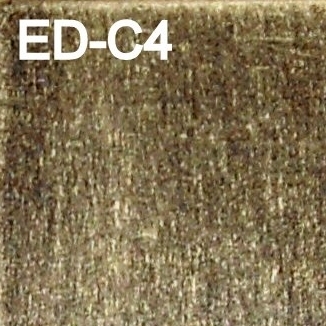 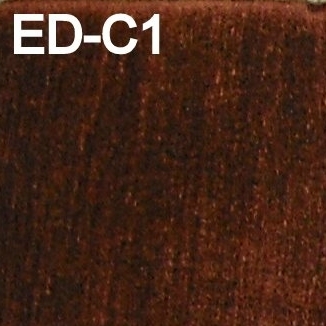 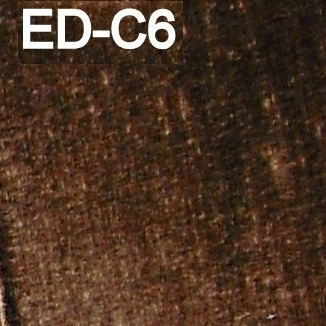 Lever sets and pulls optional. 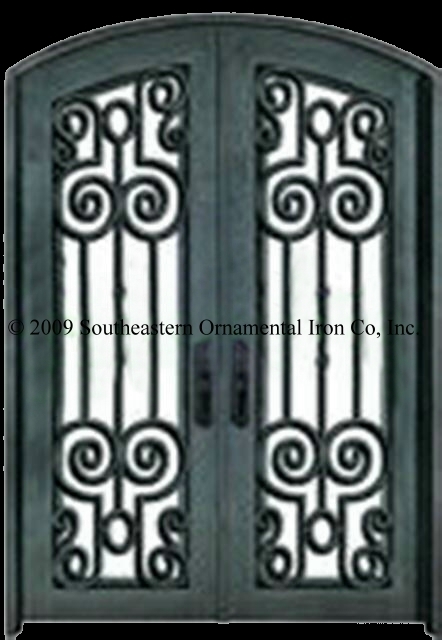 Please fill in form below to obtain a quote. 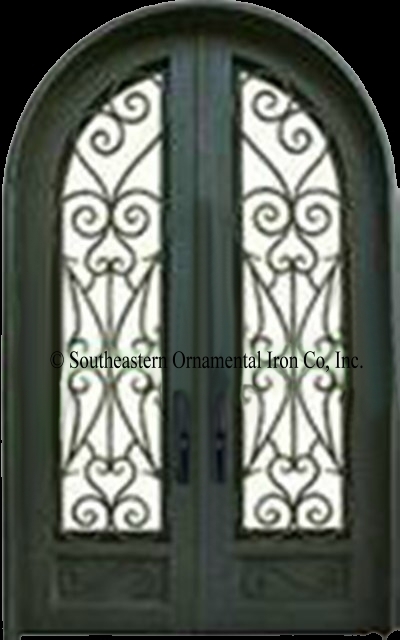 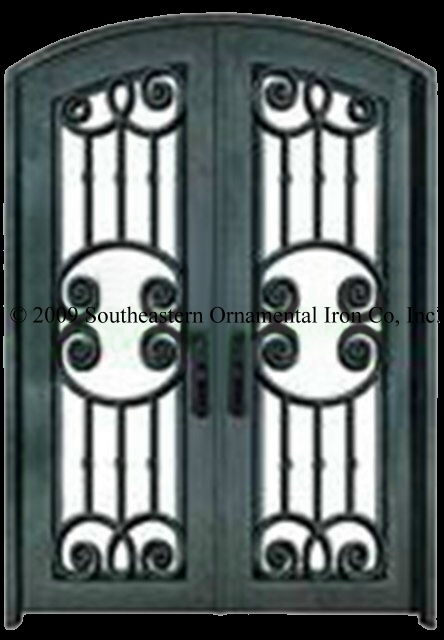 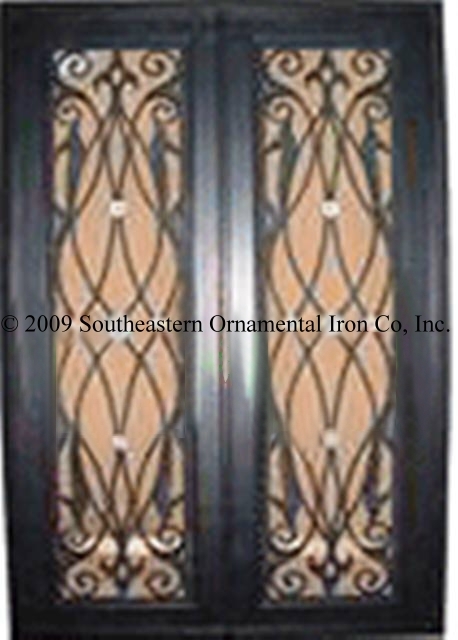 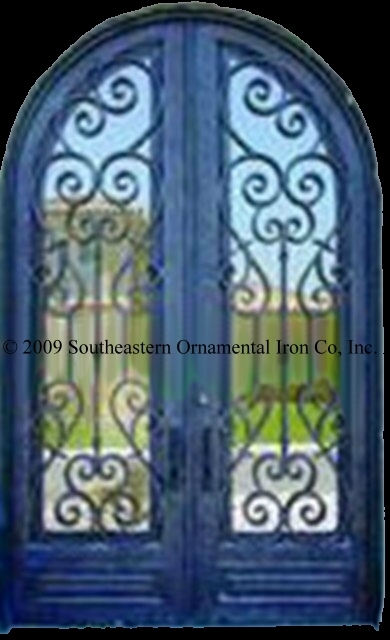 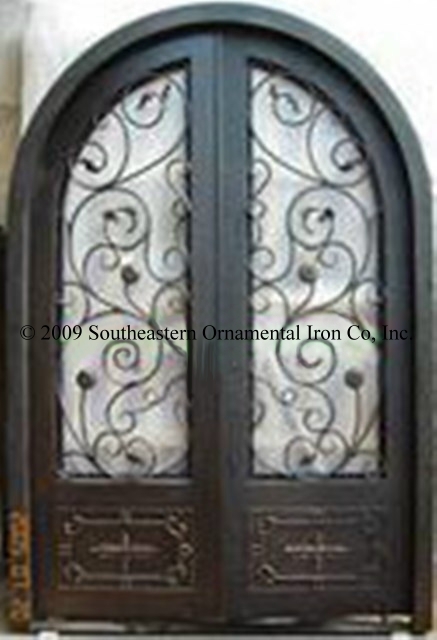 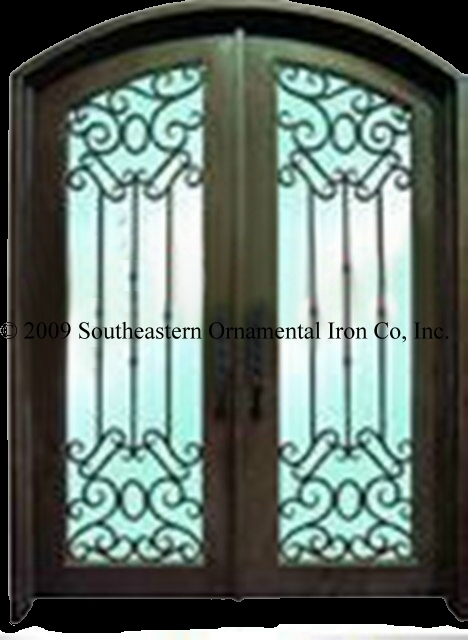 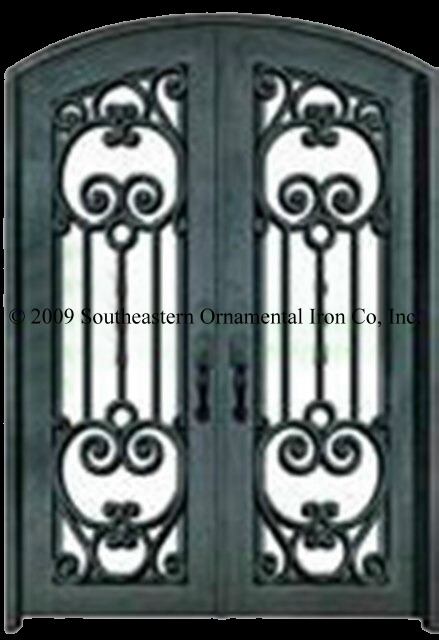 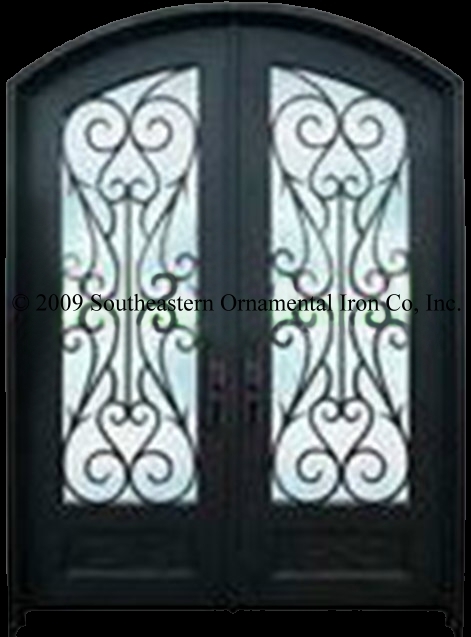 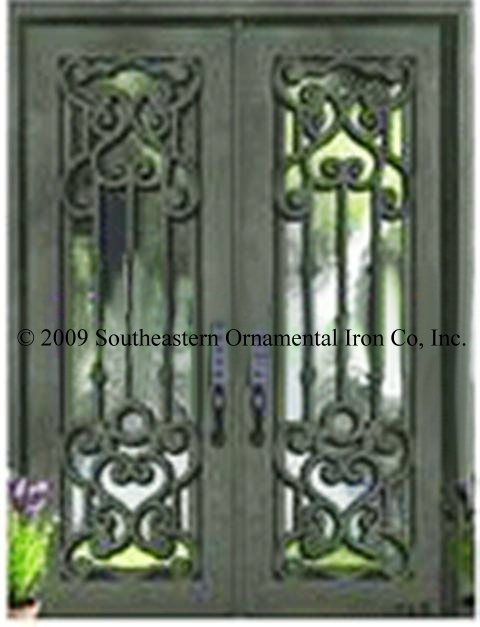 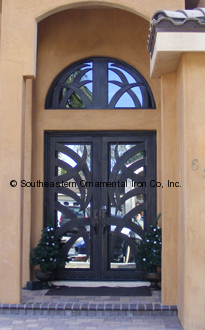 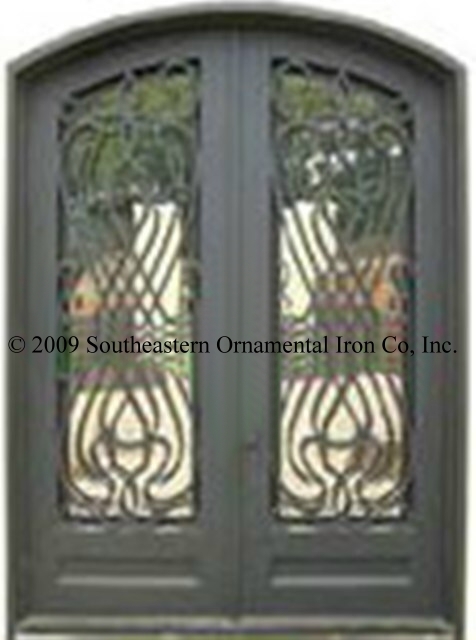 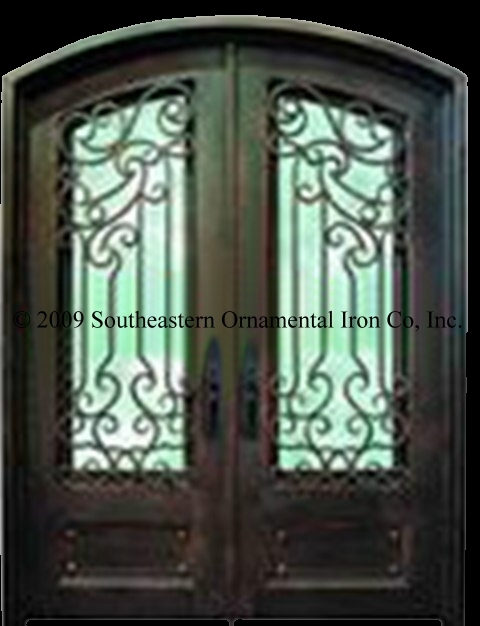 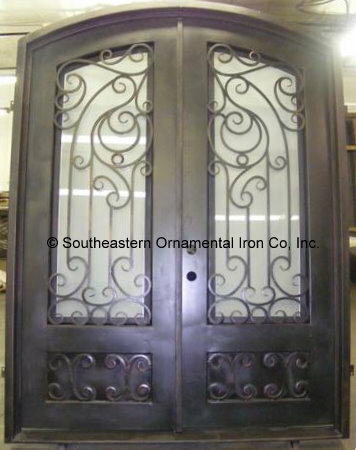 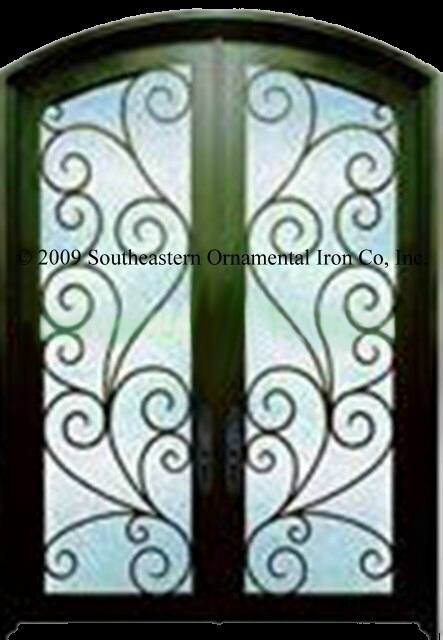 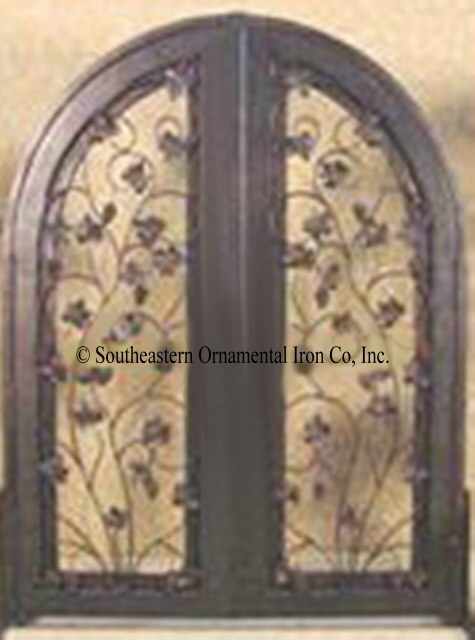 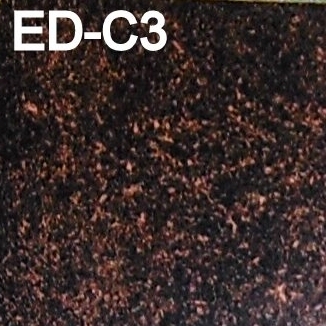 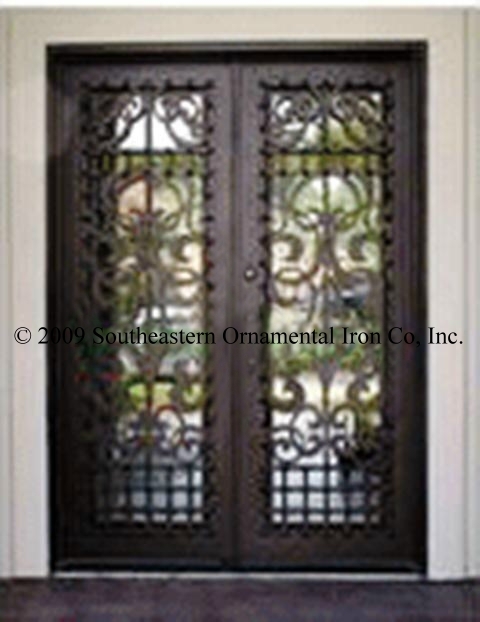 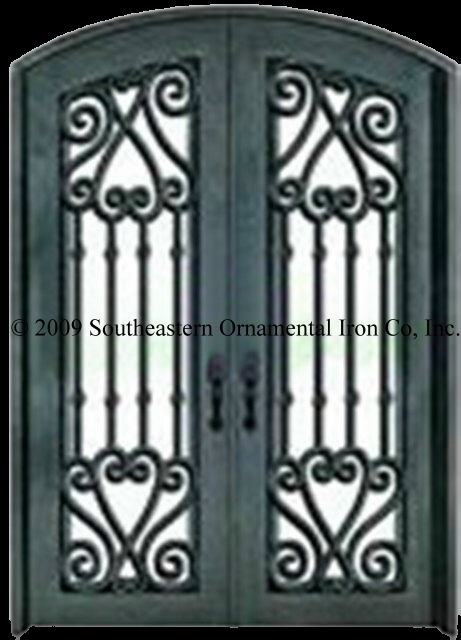 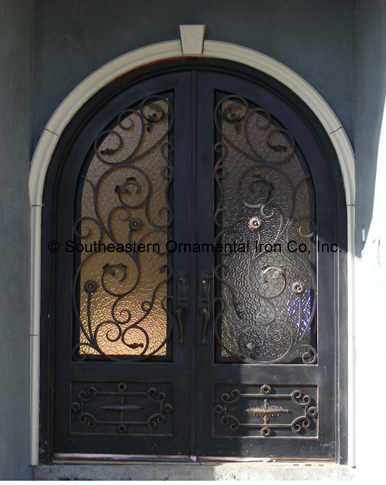 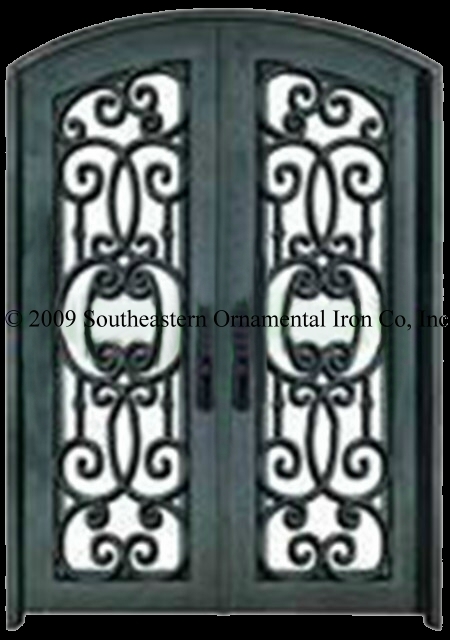 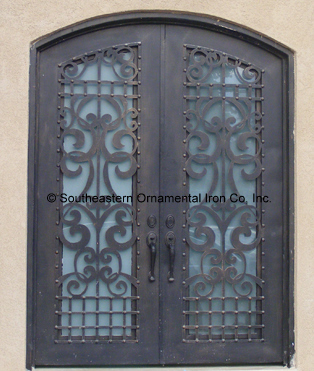 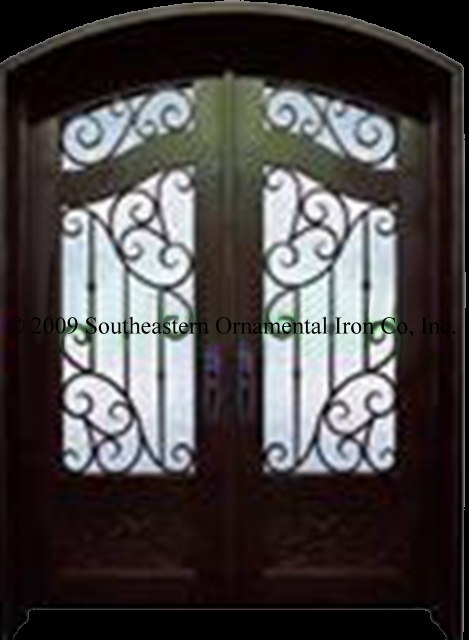 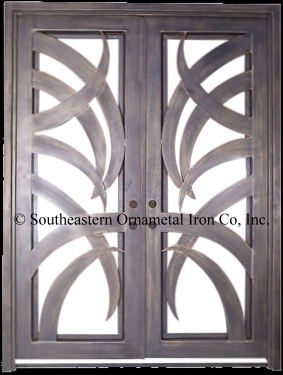 Southeastern Ornamental Iron Co, Inc. is prohibited.